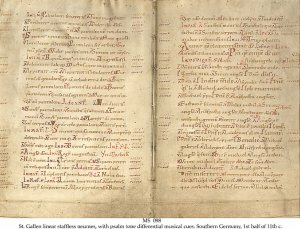 Description	 MS in Latin on vellum, Southern Germany, 1st half of 11th c., 2 ff., 22x16 cm, single column, (17x10 cm), 25 lines in Carolingian minuscule, initials in red, psalm tone differential musical cues in the margins, St. Gallen linear staffless neumes. Provenance	 1. Internationaal Antiquariaat Menno Hertzberger, Amsterdam 22.6.1966:1126; 2. Ludwig Rosenthal, Hilversum (1966); 3. Bernard Rosenthal Collection, San Francisco, I/203 (1966-1987); 3. Quaritch Cat. 1088(1988):35. 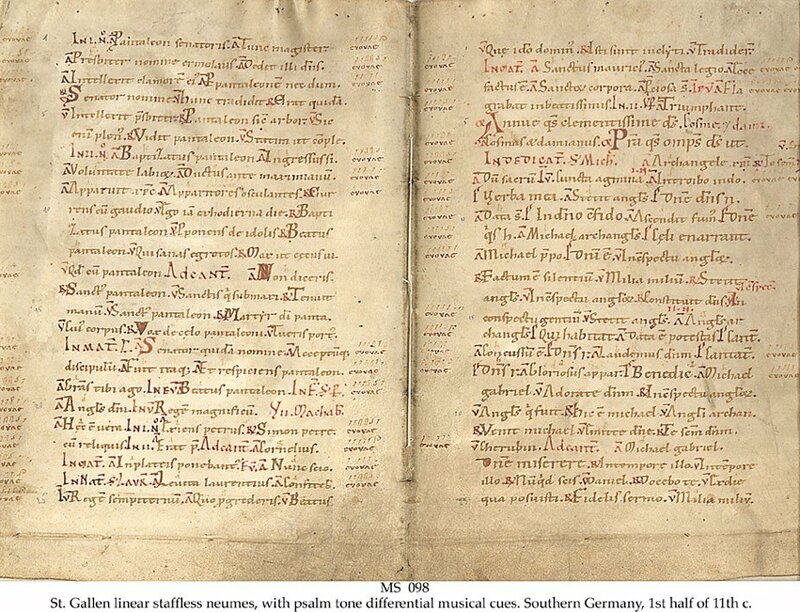 Commentary	 Linear, staffless neumes represent the most primitive stage of notation, without any cue to the pitch of each neume, making performance fully dependent on oral tradition.